Imago Relationship Therapy is a powerful and empowering approach to couples therapy! Use the link above to register for this new training! Orientation to the online platform will be 6/19/17 and the training begins 6/22/17! We are anticipating an extraordinary group of creative, gifted and talented therapists from all over the world coming together to make the leap into Imago’s relational paradigm. 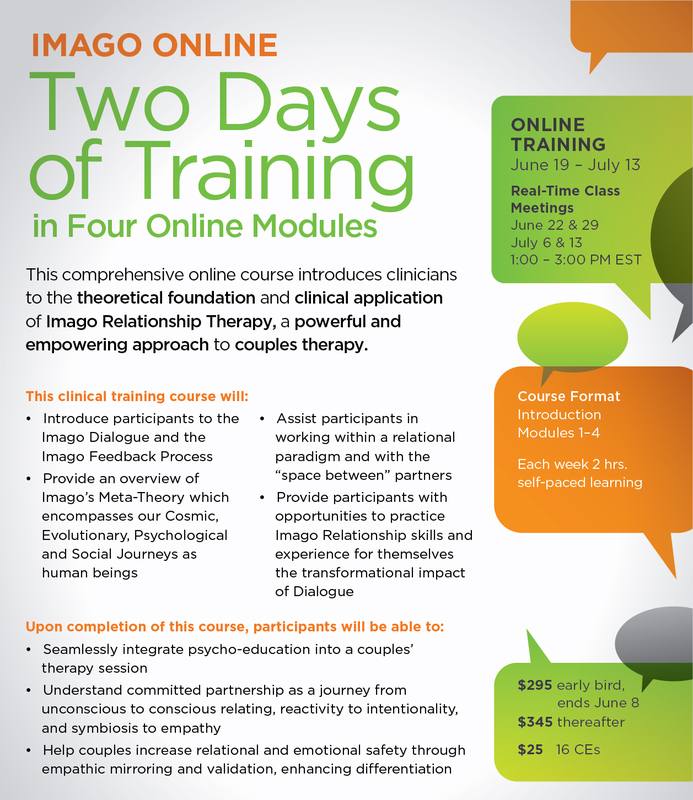 With Imago tools, training, and the deep, ongoing support that often comes when therapists train in Imago together, participants will find their work deepens, becomes more creative and satisfying.